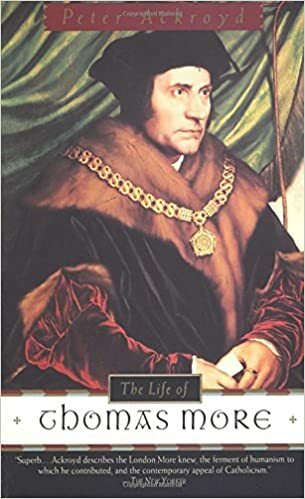 Thomas More was the trusted adviser of Henry VIII who was ultimately beheaded for his refusal to accept the Kings divorce and the Church of England’s split with Rome. He was a passionate defender of the Catholic faith and wrote treatises rebutting the works of the Protestant Reformation and Martin Luther. Thomas More was born 1478, in Milk Street, London and was the eldest son of a lawyer Sir John More. After contemplating become a monk in the Carthusian order, Thomas More followed in the footsteps of his father and trained to be a lawyer at Oxford University. Although he decided against becoming a monk, he did remain deeply religious throughout his life. He took upon himself various forms of self-punishment such as wearing a hair shirt. In 1504 he became a member of Parliament and shortly after married Jane Colt, with whom he had four children. From 1510, More served as one of the two undersheriffs of the City of London. This was a very important post within the civil service. More soon gained a reputation as an efficient and honest public servant, at a time when corruption was rife. His growing reputation gained him the notice of King Henry VIII and in 1518, he became a privy counsellor to the King. More soon found himself at the heart of the government. He was elected to the Speaker of the House of Commons in 1523 and served as an important liaison with the Lord Chancellor Thomas Wolsey. Despite his public duties, More was also a prolific and influential writer. One of his seminal works was his Utopia. This was a forerunner for ‘utopian’ philosophical pieces. 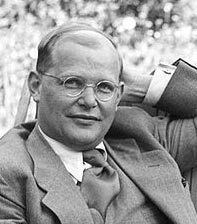 His work was influenced by his religious beliefs and was based on the Biblical communalism within the New Testaments. It was later admired by Socialists who saw it as a powerful critique of economic exploitation by European states. More was a leading polemic in defending the Catholic Church against the criticisms of Martin Luther and the Protestant Reformation. For More, the unity of the Church was of paramount importance. He vigorously defended the Catholic church against what he considered heresy; he personally was involved in questioning those suspected of heresy. His writings could be both satirical and virulent, pulling no punches with his use of language directed at attacking Martin Luther. More also wrote responses to the criticism of William Tyndale. As Chancellor, six Protestant heretics were burned at the stake for heresy. He denied torturing and whipping Protestants, but he approved of death by burning at the stake for heresy. More passionately believed that Protestantism was contrary to God’s will and dangerous for society. In 1529, More succeeded Wolsey to the Lord Chancellor. Henry VIII chose him for his efficiency, honesty and loyalty to the royal prerogative. However, as Henry VIII sought to distance himself from the Pope, More faced a crisis of conscience. Though he wished to be loyal to the King, he could not bring himself to accept separation from the Catholic church which he had for so long defended. In 1531, he attempted to resign to prevent himself having to take an oath of declaring the King the Supreme Head of the English Church. In 1532, the King allowed More to resign under the pretence of ill health. However, when More snubbed the marriage of Anne Boleyn and Henry VIII, the king was furious and tried to have More framed for criminal offences. The first attempt was to frame More for accepting bribes, but, the evidence was so paltry it had to be dismissed. In 1534, More was asked to swear allegiance to the Parliamentary Act of Succession. But, More refused for the anti-papal references he could not condone. As a result, More was imprisoned in the Tower of London and tried in 1535. Many times Thomas Cromwell tried to get More to take the oath, but he refused. He was eventually convicted of treason and sentenced to death by – hanging, drawing and quartering. But, the King commuted this to death by beheading. During his last few testing years and trial, More gained widespread admiration for his dignity, noble conduct and courage to stand up for his religious beliefs. Many in the Church and Court were cowed by the threats and power of Henry VIII’s temper and willingness to execute opponents. More’s principled stand helped his posthumous reputation, especially amongst Catholics. His friend Erasmus – a Catholic reformer said that More and been ‘more pure than any snow‘. The Anglican writer, Jonathan Swift, wrote that More was “a person of the greatest virtue this kingdom ever produced”. However, others have been critical of his persecution of Protestants – even if the punishments reflected the times which he lived in. This was also made into an Oscar-winning film by Fred Zinnerman featuring Paul Scofield as Thomas More. Citation: Pettinger, Tejvan. 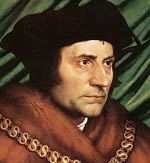 “Biography of Thomas More “, Oxford, UK – www.biographyonline.net. Published 3rd August 2014. Last updated 20 February 2018.